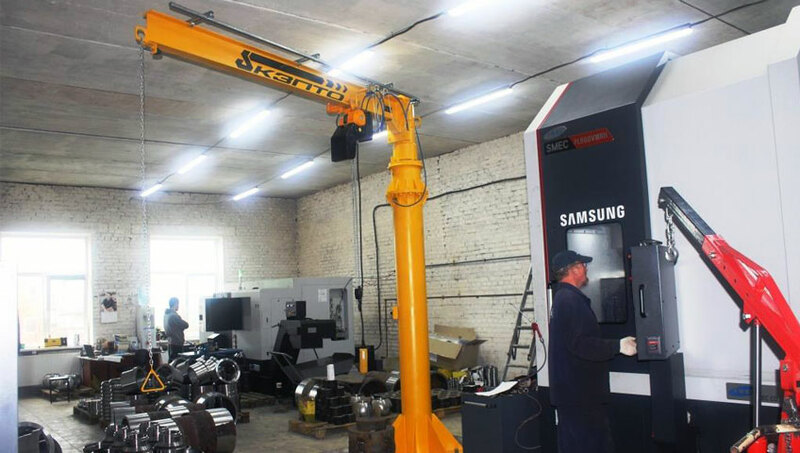 According to the technical specifications of the Customer, a crane console rotary 0.5-3.0-2.9-А5 was designed, manufactured and mounted. trailer switches of movement of a waist and crane. 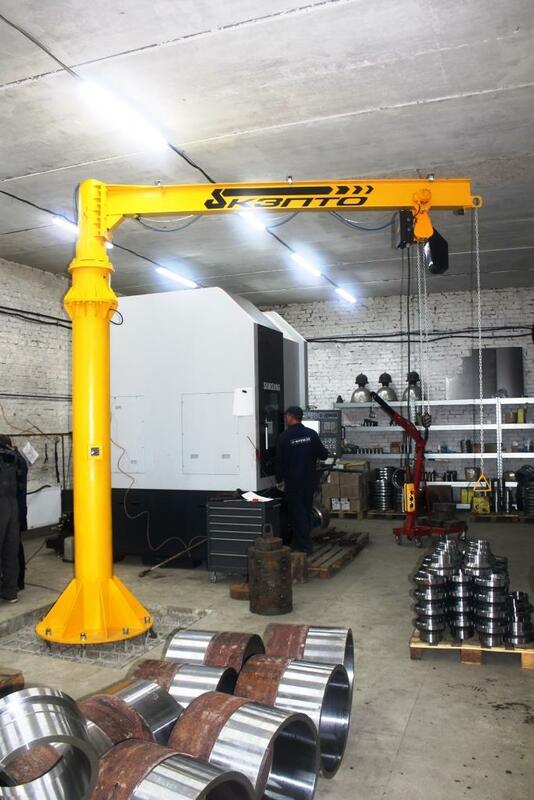 During the production of a cantilever crane, the dimensions and loads of the foundation were agreed with the Customer, in order to avoid inaccuracies during the installation period. 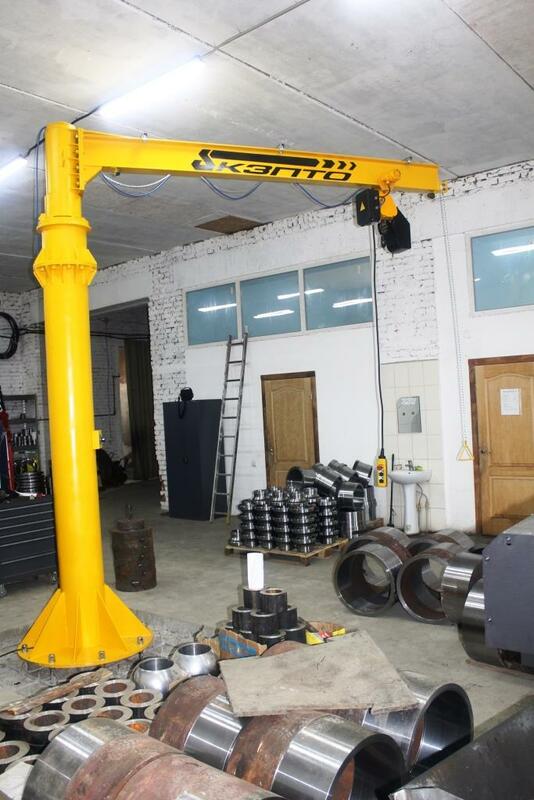 The customer was sent a sample of the base of the crane with its exact dimensions on a scale of 1: 1. 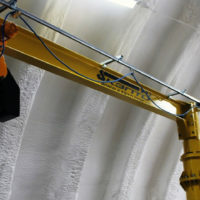 Installation of equipment on the finished foundation was carried out within one working day. 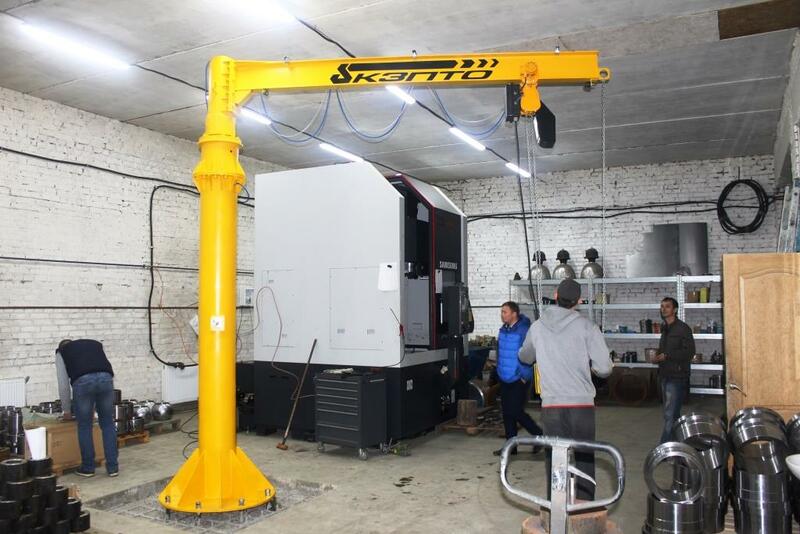 Statistical and dynamic tests confirmed the reliability of the design and ease of management. 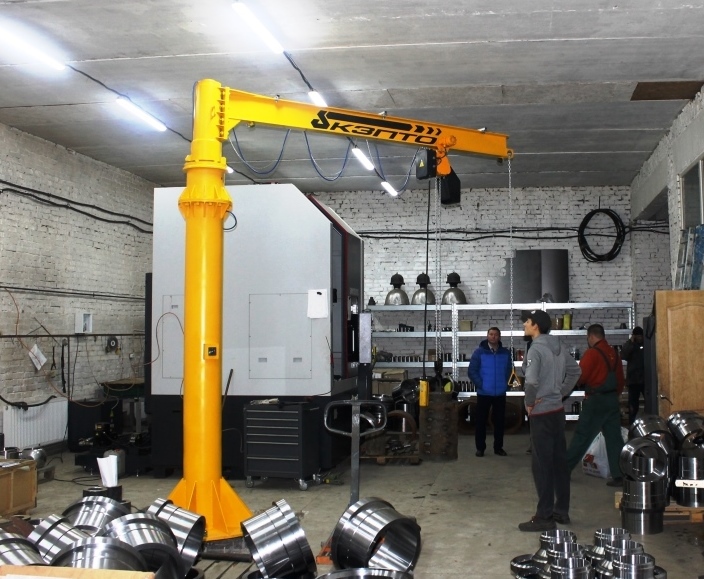 The use of a 2-speed hoist ensured accurate positioning of the product on the machine. Correctly issued passport and the availability of all permitting documents without any problems received confirmation from the inspector for further work.